Speedfit, turno smučanje po urejenih progah je hit! In to ne samo zaradi varnosti, saj je to tudi odličen trening, ko razmere za klasične ture zunaj urejenih smučišč še niso čisto prave. 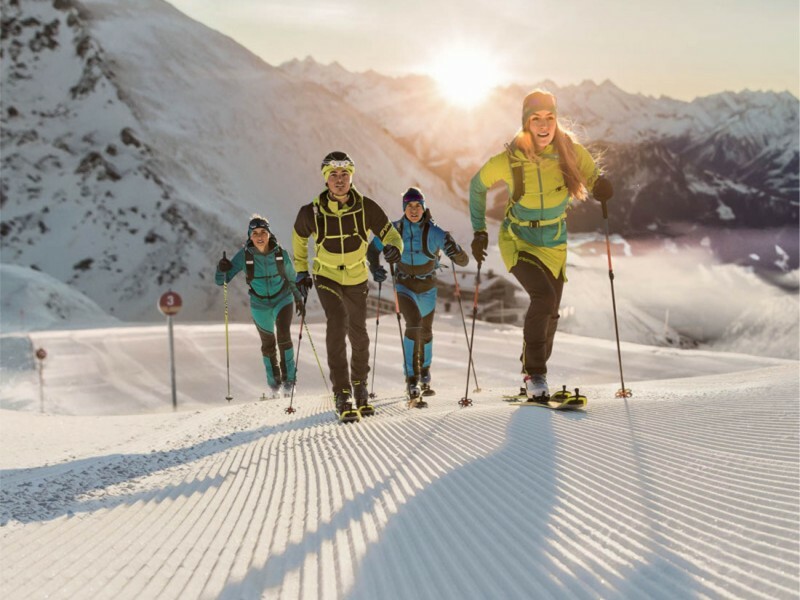 Speedfit, ski touring on groomed ski runs is in! Not just because of safety, but also because it’s a great workout. After all, who wants to torture themselves in a gym after work or on weekends? That’s more about an annoying obligation than enjoyment. As a result, more and more people are heading to the nearest ski resort for a quick ski tour, either alone or with friends. The fresh air fires up the cardiovascular system and a continuous uphill gait assisted by your arms strengthen muscles and tendons throughout your body. Ski touring on ski runs isn’t difficult. It’s something everyone can do. Despite this, the demands of an on-piste ski tour are different than a backcountry tour. 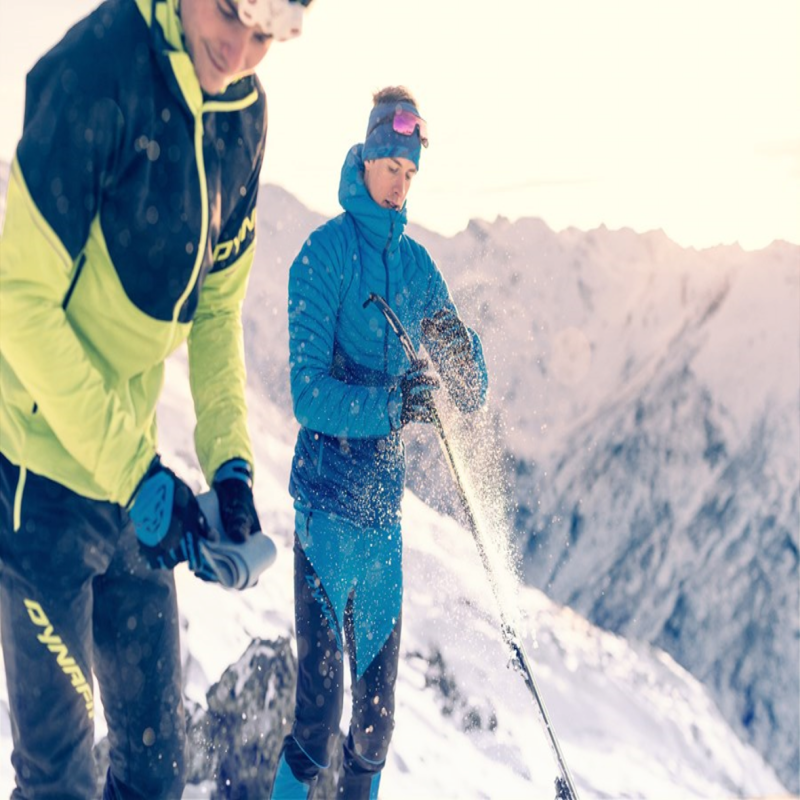 What follows is a comprehensive guide to ski touring on groomed runs and to the new SPEEDFIT collection, developed especially for on-piste ski touring. WHY IS AN ON-PISTE TOUR GOOD FOR YOU? No knowledge needed about avalanches or other alpine risks. Easily accessible ascents and descents on groomed runs. No area-specific knowledge required. Easy to get a great workout with minimal time demand - particularly before or after work. WHAT EQUIPMENT DO YOU NEED FOR AN ON-PISTE SKI TOUR? At this point you may wonder why you need special gear for on-piste ski touring. 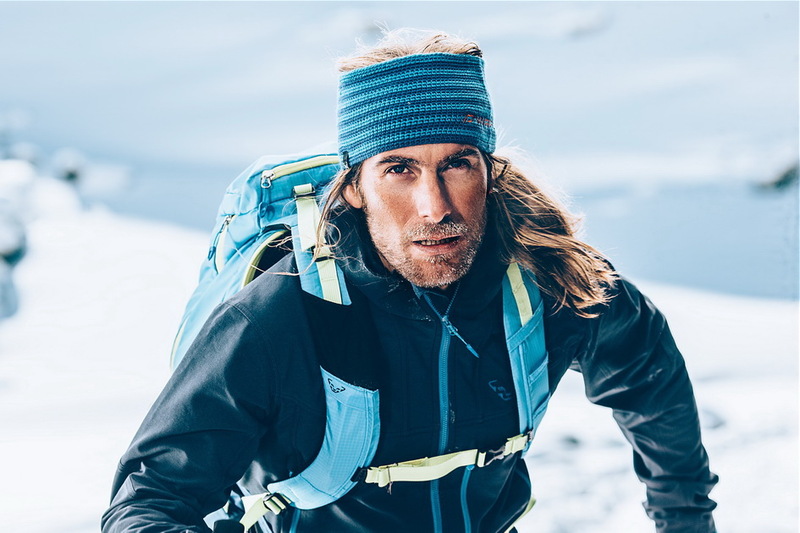 The answer is that the demands on clothing and equipment are different than gear used in the backcountry. On-piste ski tourers often ski early in the morning or late in the evening. For their safety in low light or dark conditions, SPEEDFIT clothing has reflectivity. Skis, boots and bindings are subject to different stresses than would be the case in the backcountry. For this reason, SPEEDFIT products have been developed to be lightweight and comfortable for ascents yet torsionally rigid to provide perfect control on hardpack or icy runs. FOLLOW LOCAL RULES AND REGULATIONS. Make sure you are familiar with local and regional regulations, possible run closures or advisories. Ski only where it is not prohibited, and choose runs which are specifically signed as ski tour routes. Do not ski on closed runs. BE RESPONSIBLE WHEN CLIMBING AND DESCENDING. Normal resort ski operations have priority and may not be hindered by ski tourers. Considerate and responsible behavior is essential in order for downhill skiers and ski tourers to get along with one another. Always ascend in single file, not side by side. Stay on the edge of the run, do not cross the slopes while ascending, and keep to the sides of the run while descending. BE ESPECIALLY CAUTIOUS IN THE DARK. Grooming runs frequently takes place at night. It is essential for you to know in advance which runs will be groomed and when this will take place. Cable winches can be lethal! Ensure that you are visible to others in dawn or dusk to prevent accidents: switch on your headlamp and wear reflective clothing. BE RESPECTFUL OF WILDLIFE AND NATURE. Only ski when there is adequate snow on the runs and use existing ski tracks to prevent damage to plants or ground cover. At night, be quiet in order not to disturb wildlife. Remember to pack out what you pack in. Only park where it is permitted in parking lots and access roads. Be fair and pay any fees, whether this means for parking, ski touring passes, or tickets for a toll road - even if you think that no one will check. 1. Practicing your uphill kick turns: A prepared run is the perfect place to practice these turns, which will also strengthen different muscle groups. Once you have the technique down, you’re ready for more ambitious tours in the backcountry. 2. Straight-cut skins: This helps to improve your stance on your skis and gives you a better feeling for how well the skins are gripping. 3. Increased cadence with shorter steps: This will help you climb more efficiently and, at the same time, improves power and push-off. 4. Pole cadence 1:1 instead of 2:1: By using your poles with each step you achieve two things: a taller stance that allows you to breathe more easily, and greater physical demands on your upper body, which builds strength and improves training. Additionally, a 1:1 pole cadence makes it easier to maintain a constant pace. 5. Training on runs with differing gradients: This will improve your climbing technique and increase your core strength. Congratulations, you gave it your all! You broke a sweat and pumped up your heart rate on your way up steep ascents. You cut broad, sweeping turns through empty runs on your way back down. You shook off the stress of the workday. Satisfied, you are sitting in dry clothes in your car ready for the drive home. Wait! You forget something. You forgot to recharge your batteries after your on-piste ski tour! We strongly recommend that you head for a hut or to the cafe at the base of the lift and grab an alcohol-free wheat beer or two. Along with the company of your touring buddies, a cool beer just tastes better after an evening ski tour. Cheers! You earned it!